GreenBeanTeenQueen: Happy Blogoversary To Me!! Wow! 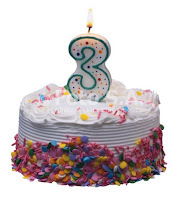 Can you believe this month celebrates three years of blogging at GreenBeanTeenQueen?? I can't believe I've been blogging that long! Of course when I first started blogging, I was very spotty in my posts and my reviews were pretty short. It took me about a year to really get the hang of it I feel like after two years I've finally found a good blog groove. So I want to reward you for sticking with me and encouraging me to keep on blogging. Nothing is more exciting than getting books, right? So to thank you, I will reward one lucky winner with $50 (US Dollars) to spend at BookDepository.com!! Good luck-and THANK YOU for making me love blogging!! Happy blogoversary!!! You've been one of my favorite blogs ever since I got into the book blogging community. I hope I can make it to three years some day. Yay! I am just about at my 3 year anniversary of book blogging, though my blog has been up longer than that. 3 years is an eternity in internet time so MAJOR congrats!! Happy Blogoversary! I love coming here and reading your posts! Happy Blogoversary! I always enjoy reading your reviews! Keep up the great work! Happy Blogoversary, three years is a long time, congrats, your blog is great!!! Happy blogoversary! Thanks for all your hard work! 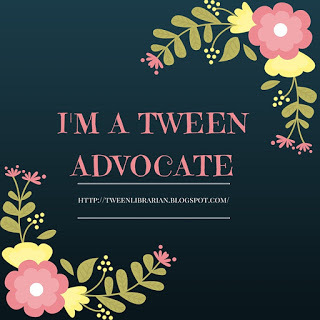 I enjoy reading your blog - especially your Tuesday tween posts. Hope to see many more blogoversaries from you! Happy blogoversary! I love your blog, and so happy I found it during the District Tour for Mockingjay! Wow 3 years! That's amazing. I'm sure we all feel the same way from time to time, but in the end it's our love for reading that keeps us going. Three Years!!! Well then you deserve a very HAPPY blogoversary and congrats on three awesome years! Here's to many more years of awesome at GreenBeanTeenQueen! Happy Blogoversary! I've enjoyed reading your reviews and other posts. Thanks so much! Happy blogoversary!! Looking forward to another year of great posts. I am very happy I found your blog! Most book blogs feel like a networking site, not a place to give you honest opinion about the book. I really do feel I can trust your reviews, they are truthful but still respectful to authors. So thank you I do appreciate your hard work. Happy Blogoversary! Thank you for the great giveaway! Happy blogoversary! Thanks for the giveaway as well! Happy Blogoversary and thanks for the gracious giveaway! Happy 3 years to the most awesome Teen Librarian and co-worker ever!! Happy Bloggy Birthday!!!!! I'm looking forward to many more! And thank you for such a generous giveaway. Happy Blogoversary! I hope there are many more!!! yay! happy blogoversary! i am so happy i have this super mondo awesome book blog to come to! Happy blogoversary - thanks for all you do for the book blogging world!!! Happy 3 years! What an awesome achievement! And thanks for the giveaway! I'm a new follower. :) I tweeted as well. Three years of blogging! Talk about amazing :) Happy blogoversary and congrats! GreenBeanTeenQueen, I have found so many wonderful reads via your blog! I always enjoy stopping by and learning about a new book or even movie. Thanks so much for all your hard work. Happy Blogoversary!Thanks for the great giveaway! Congratulations! Your blog was one of the first (if not THE first) book blogs that I followed and I've been doing so ever since! Love all that you contribute to the book blogosphere! Thanks! We've been doing this about the same amount of time. Doesn't seem like 3 years, does it?! Happy blogoversary! I love your blog and aspire to be more like yours! Plus you take the time to answer my questions and are very encouraging. A very happy blogoversary to you. Three years is a long time. Many many more years to come I hope for you. I'm late, but Happy Blogiversary to you! So glad I have gotten the opportunity to meet you virtually and in real live. Here is to many more! Thanks for the giveaway and I'm looking forward to what year 4 has in store for you! Wow, thanks so much, and happy blogoversary! Barbara-Welcome! I'm so glad you came across my blog! :) My blog list grows because there are so many blogs that are popping up and I love reading about YA!